Please click through the link to read the report. Five points stand out. 1. 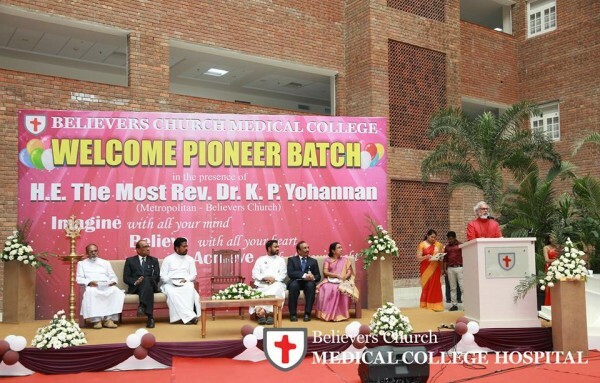 It doesn’t appear that the Christian nature of the Believers Church Medical College is prompting state persecution of Believers Church or Gospel for Asia as GFA leaders often claim. This appears to be a sweet deal for Believers Church. They can use land the local authorities want for wetlands for their for-profit hospital and medical college. They also avoid the cost of correcting their illegal use of 3.77 acres. 2. According to this report, the local government gave permission for filling the land suitable for building a medical college in 2003. The empire building in India goes back a long way. Donors outside of Indian might well wonder where the funds came from in order fill the lands and construct a state of the art medical college and hospital. 3. If this report is accurate, GFA in India illegally diverted a stream and filled in 3.77 acres of land. This illegal action doesn’t square well with repeated claims by GFA leaders that their actions on the field are legal. It cannot help the overall purpose of Christian missions to conduct affairs illegally and then fail to correct the matter. 4. If I understand the TOI report, this matter may not be over. The TOI reporter makes the case that the state cabinet action violates a ruling of the Supreme Court. Although I am not sure who would lead the charge, there may be a challenge to the cabinet’s decision. 5. GFA in India is said by this report to be under Believers’ Church. Unknown to many donors, the real destination for millions of donor dollars has been Believers’ Church in India with their for profit schools, medical centers and rubber plantation. No doubt the pursuit of this matter involved lawyers and much time and money. It is past time for GFA to come clean about their finances, not just here, but around the world.